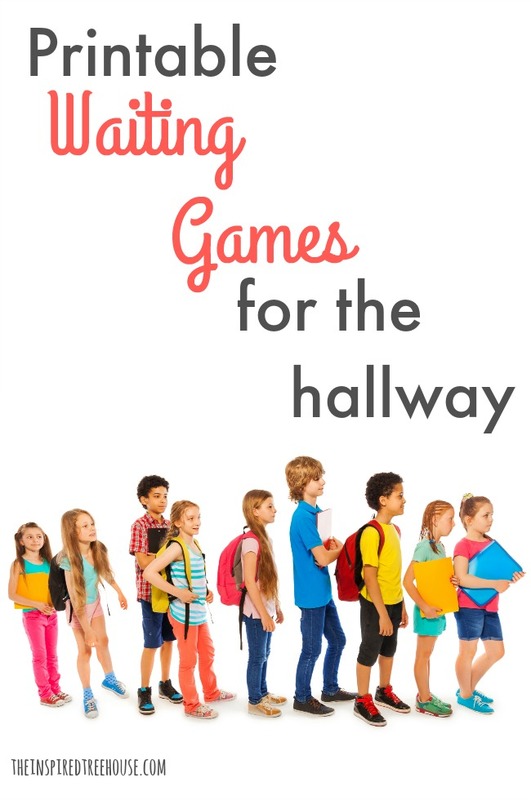 Free Printable Pack: Hallway Games for Waiting! Waiting time doesn’t have to be wasted time! Try these 10 Printable Hallway Games and you’ll be able to use waiting time in the hallway to build motor and self-regulation skills! It might be one of the most challenging parts of the school day – standing in the hallway with a big group of kids…waiting. Waiting for the bathroom, waiting to go into the gym, waiting for the bus. 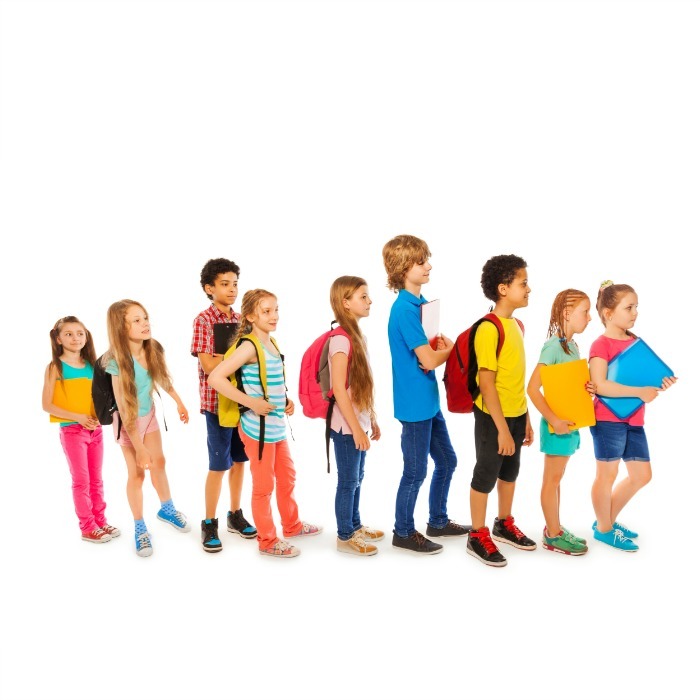 Almost all kids have trouble with waiting and walking in line at one time or another. 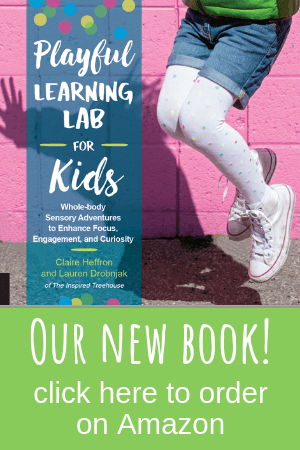 It requires attention, patience and self-regulation, which don’t always come easily to preschoolers, primary schoolers, and even to older kids! That’s why we’ve created some awesome hallway games that are great for supporting motor skills and self-regulation while kids are waiting in the hallway. 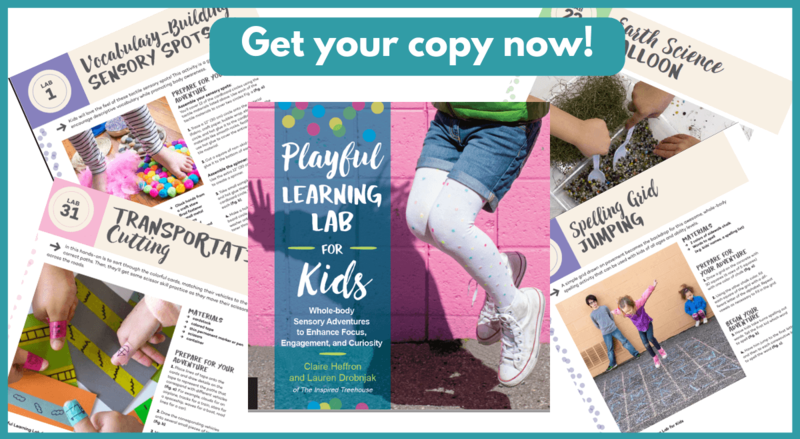 These games and activities help keep kids engaged and calm while waiting in the hallway – perfect for teachers to use with their students or therapists who are interested in providing push-in services during a natural part of the school routine. This would be the perfect whole-class therapy session if you have students on your caseload who struggle with waiting in line. Simply print the pack of prompts, laminate, and hang the prompts in a common waiting area and then use your session to introduce each of the activities and have the students try them out! Or – use the prompts at home as fun movement breaks during or before homework! Print the pack of visual prompts, laminate, cut out, and secure to the hallway walls in places where wait time is common (e.g. outside the bathroom or gym). Secure to the wall at the height of a kids chair, or knee-level. Challenge kids to see how long they can sit against the wall on the line! Secure to the wall at chest height for kids. How many wall push-ups can they do? Challenge them to push so hard on the handprints that they “push the wall down”! Secure to the wall at shoulder height for kids. Can kids use their index and middle fingers together as as “legs” to climb the ladder all the way to the star at the top? Secure to the wall at eye-level. Kids simply trace their way from the beginning of the maze to the end! Too easy? Simply find other mazes online to print and laminate! Secure to the wall at shoulder height. Have kids place each of the fingers on one hand on a colored dot to start. Can they lift one finger at a time and then replace it on the same dot? Can they lift one finger at a time and place it on the dot directly above the starting point? Secure to the floor. Start with both feet on the footprints. Challenge kids to lift one foot and balance. How long can they stand on one foot? Now switch feet! Secure at eye-level so kids can try each of the quiet standing poses. Secure at shoulder height. Have kids trace the figure with their finger in time with their breathing. Secure at eye-level. Have kids quietly search for the items on the list. Secure a piece of painter’s tape to the floor. Have kids stand on the line with the toes of one foot pointing toward the heel of the other foot. How long can they remain on the line? What are your favorite ways to keep kids engaged and quietly active while waiting in the hallway? Leave a comment below and let us know! Right now I’m getting a loop when I try to print the pack. I click on it and it keeps taking me back to the sign up page. I’ve already signed up but do not end up with a site to print from that does not take me back to the sign up page. I”ve spent several minutes trying to find a way to get the free printout and have not had any luck so far. Any suggestions? Thanks so much for getting back to me so quickly. I didn’t realize the handout was automatically emailed to the address I put in. 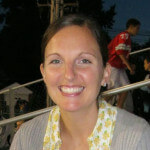 I appreciate all the free info and great ideas you are sharing. I’ve used them both in treatment and home programs. No problem! Glad you figured it out! :) Yes – the printable pack will be emailed right to your inbox. You may have to look in your spam or promotions tabs if you don’t see it right away. Thanks! I am interested in creating Sensory Hallways in my school (PS-6). 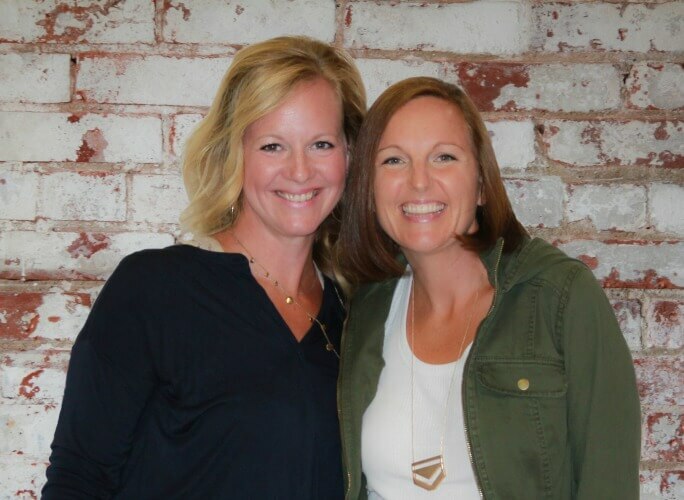 The principal and guidance counselor are also on board with the idea. (I’m the OT). Any and all resources that you are willing to share would be wonderful and fantastic! I love these 10 ideas. I’m also thinking about an alphabet jump in the k-2 hallway, a math facts jump/wall in the 3-4 hallway. Definitely need to have figure 8s, both on the wall and on the floor.